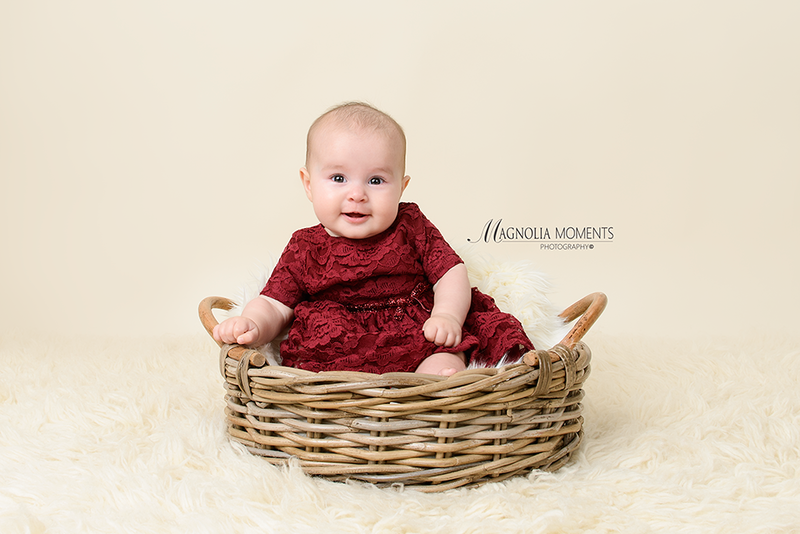 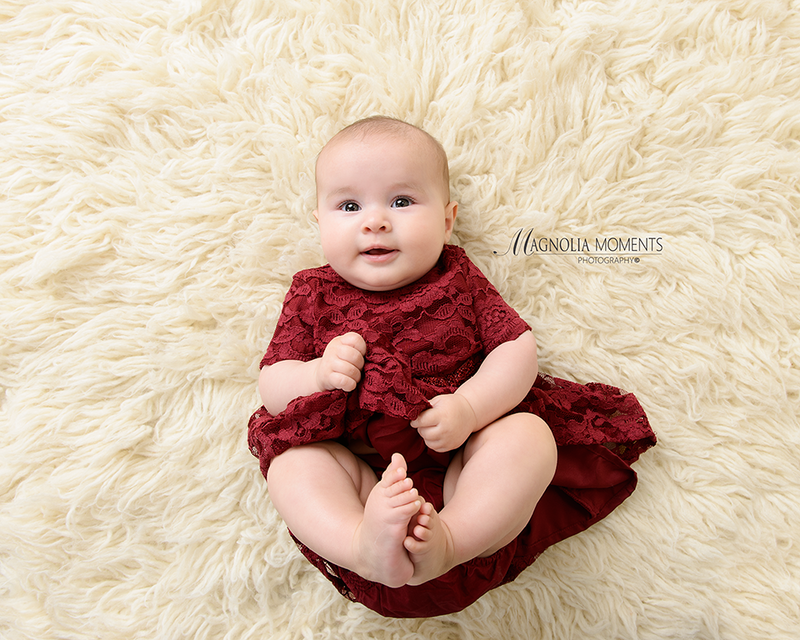 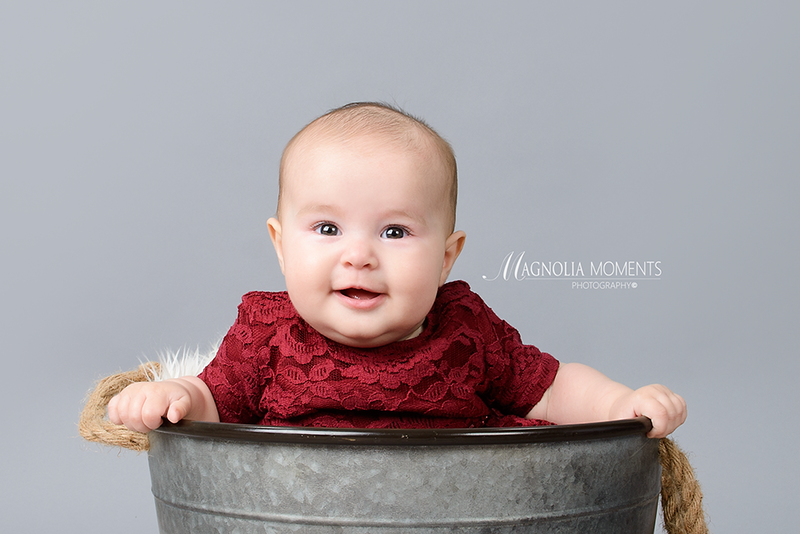 This sweet little princess stopped by our Collegeville, PA newborn and baby photography studio for her 4 month portraits and was absolutely adorable. 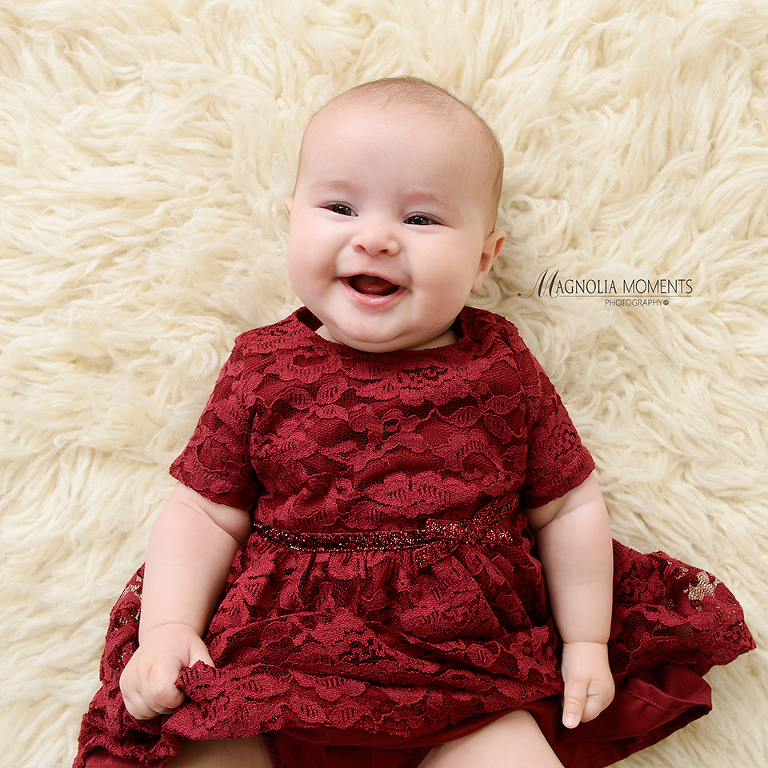 I love her chubby cheeks and she definitely ROCKS her red dress. 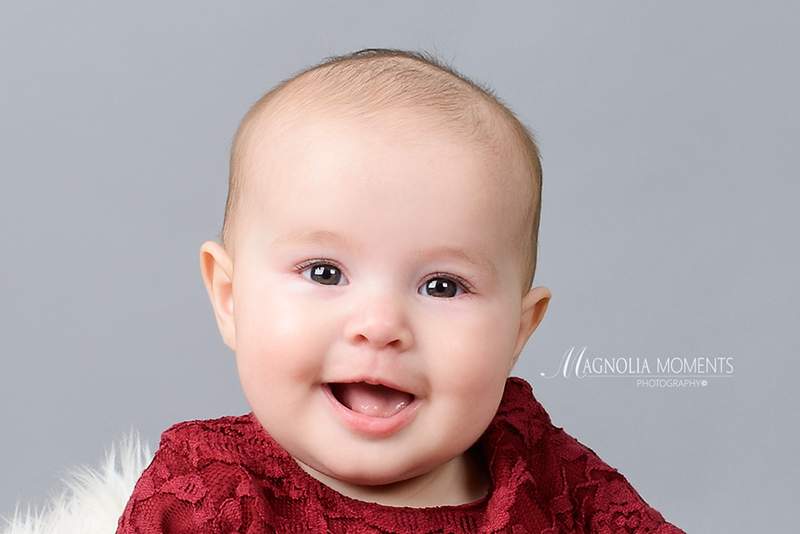 What a sweet smile…I love toothless grins. 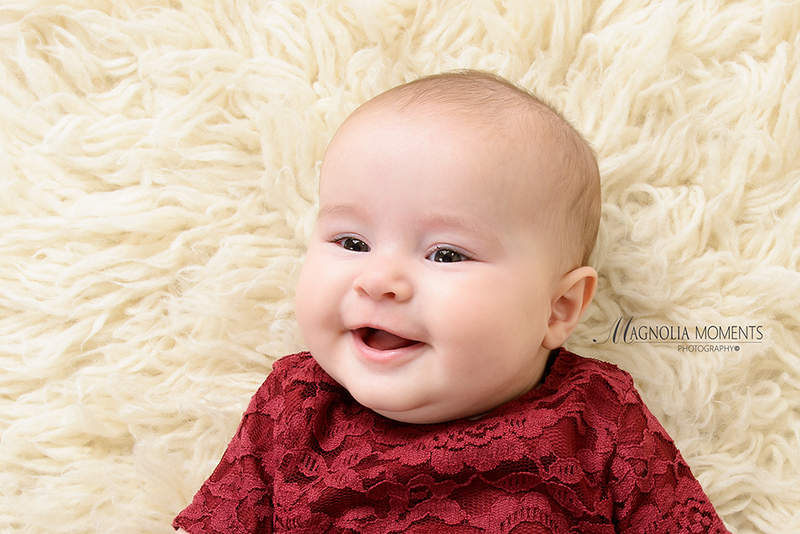 Thank you R Family for choosing Magnolia Moments Photography as your King of Prussia PA baby photographer and spending time with me in the studio. It was such a pleasure meeting you and I absolutely loved photographing your beautiful baby girl.